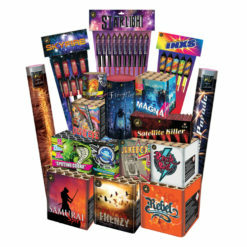 Wave Willow is a fantastic firework and should be on everyone’s must have list each year. This is as good in my opinion. 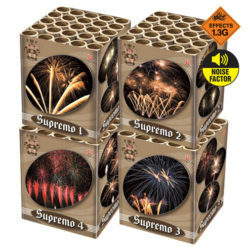 The bursts are huge and hang in the sky for a very long time. And this is immensely loud too. 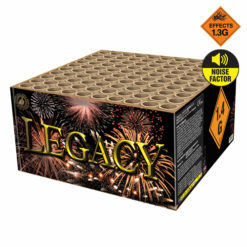 If you’re looking for a firework with big brocade bursts this is outstanding. 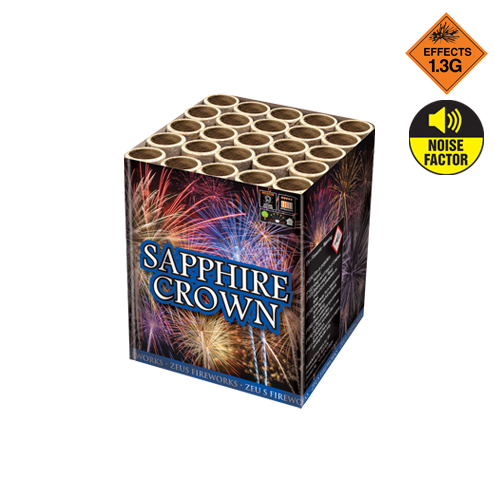 Sapphire Crown a popular favourite from the Magnum Series firework range. 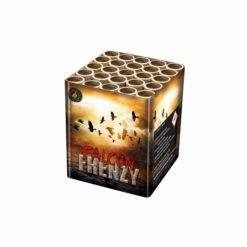 This big bore 25 shot barrage fires awesome brocade cluster star mines heaven bound. 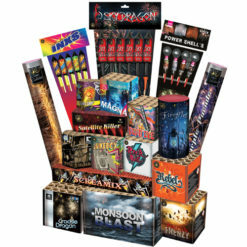 Before huge thunderous brocade crown bouquets fill the air. 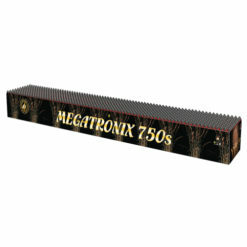 Reaching over 100 feet and lasting almost 30 seconds, a truly magnificent category 2 firework. 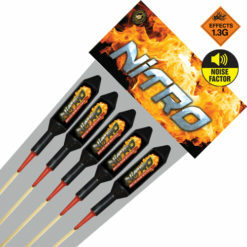 Because this 1.3g effect firework packs such a punch, we recommend a minimum safety distance of 20 metres. Make sure to read the safety instructions carefully, and check out our safety guide for more advice. 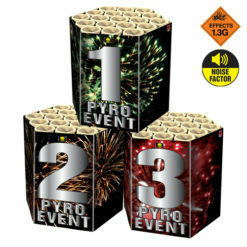 Want to see another Magnum Series firework with the same oomph as Sapphire Crown? Look no further than Treasure Chest.